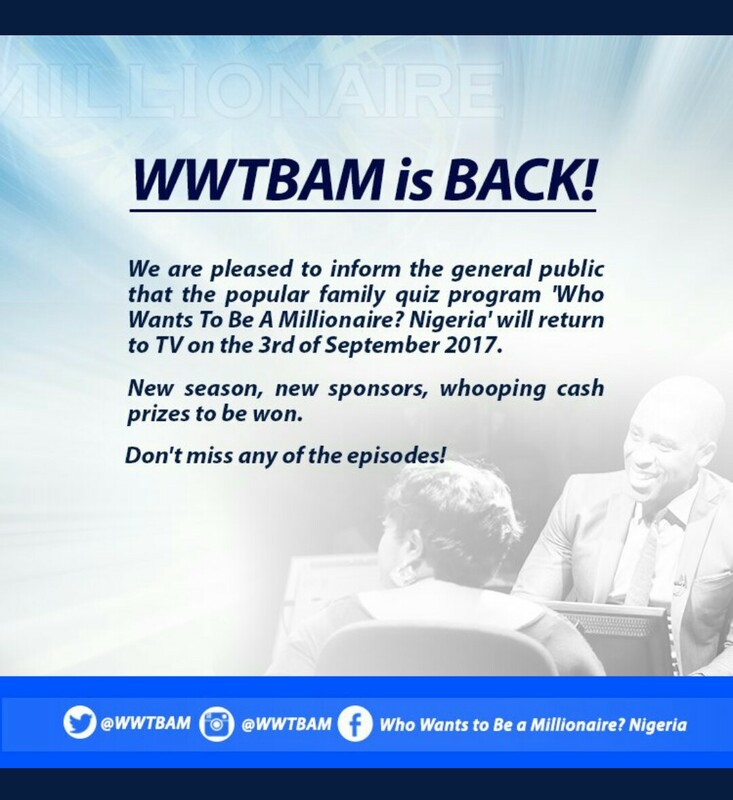 During the month of June, popular family quiz game, Who Wants To Be A Millionaire, temporarily closed because her major sponsors, MTN NG pulled out. 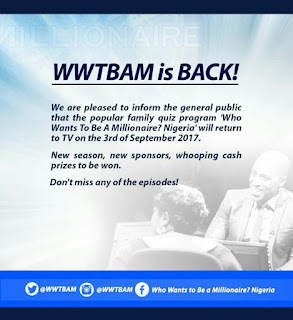 The television show, which educated and enriched a lot of people by asking them questions and giving them money rewards for correctly answered questions is now back with a new sponsor. 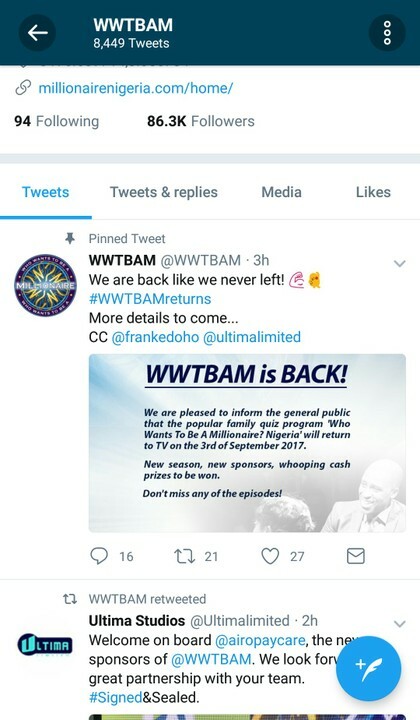 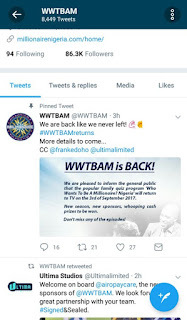 Who wants to be a millionaire TV quiz game show, which was hosted by Frank Edoho – the guy that will keep everyone in suspense with his commercial breaks, is back like they never left. 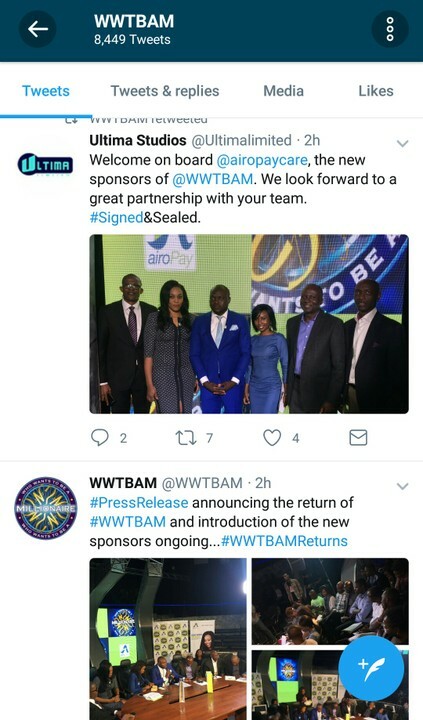 The program now has a new sponsor called Airopay, and the show will be aired on TV starting from the 3rd of Semptember 2017.